Don't settle for a boring restaurant with expensive drinks. 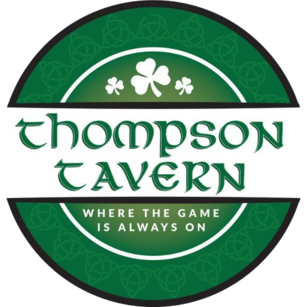 Thompson Tavern is a friendly sports bar in Dover, New Hampshire that serves a wide variety of bar food, features unbeatable drink specials and keeps sports events playing on multiple TVs around the clock. Our menu includes everything from jumbo wings to chicken alfredo. Burgers are $5 every Tuesday and pizzas are $5 every Thursday. Even the pickiest eaters in your family will find something to love at our tavern restaurant. For the beverage enthusiasts out there, we have a large selection of draft beers and well drinks. Don't forget to take advantage of our Game Time Specials when your favorite team is playing. Don't throw away money at expensive cocktail bars. Stop by our rooftop deck today to enjoy our happy hour drink specials.